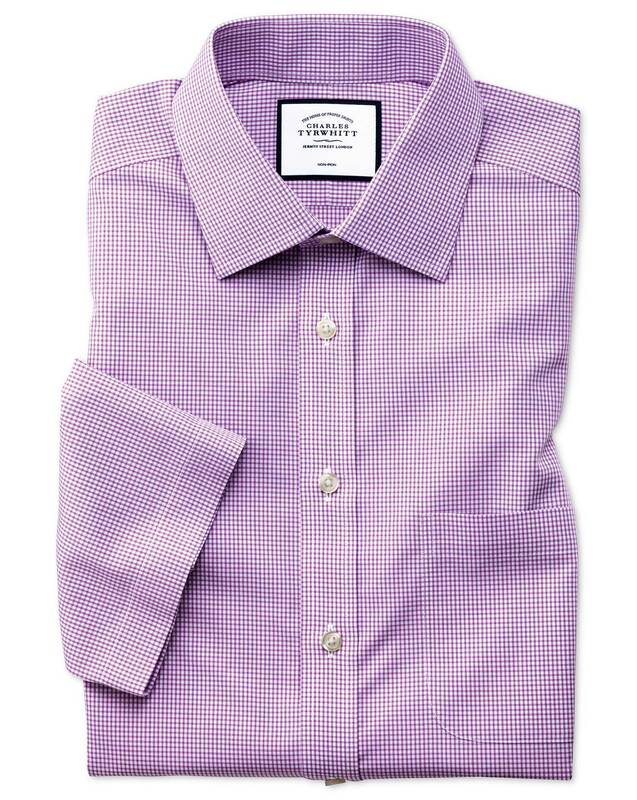 "Short sleeves, a smart-as-usual cut and fit, crease-free non-iron and Natural CoolTM technology – all in one shirt? I could have just sent you off on holiday... 100% office-appropriate, this shirt is perfect to help you endure summer in town. Forget taboos and get those arms out: be the smartest short-sleeved chap about." "Non-iron 100% cotton short-sleeve shirt with innovative Natural Cool™ technology: wicks away moisture keeping you dry and cool throughout the day." Good materials. Nice selection of colours. Lovely shirt. Great for summer.